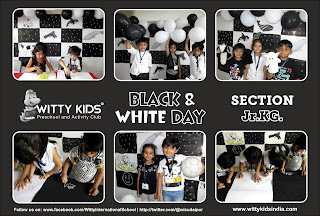 After learning all the Primary and Secondary colors, now the Wittians discovered White and Black color. 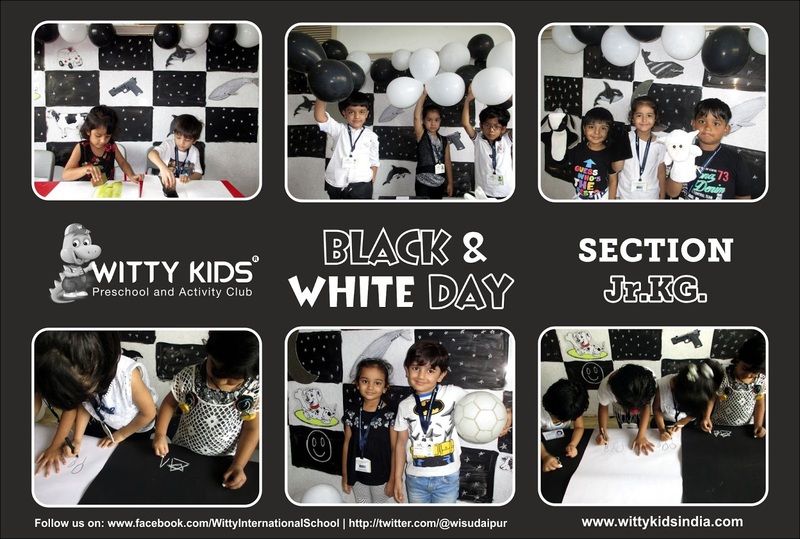 The sign of Purity- The White color, the color of night sky is Black learned by the students of Jr. KG.The class was decorated with Black & White objects and the students observed the same in the class. Students and Teachers both came in black & White attire. They enjoyed making Day and Night scene in their scrapbook.